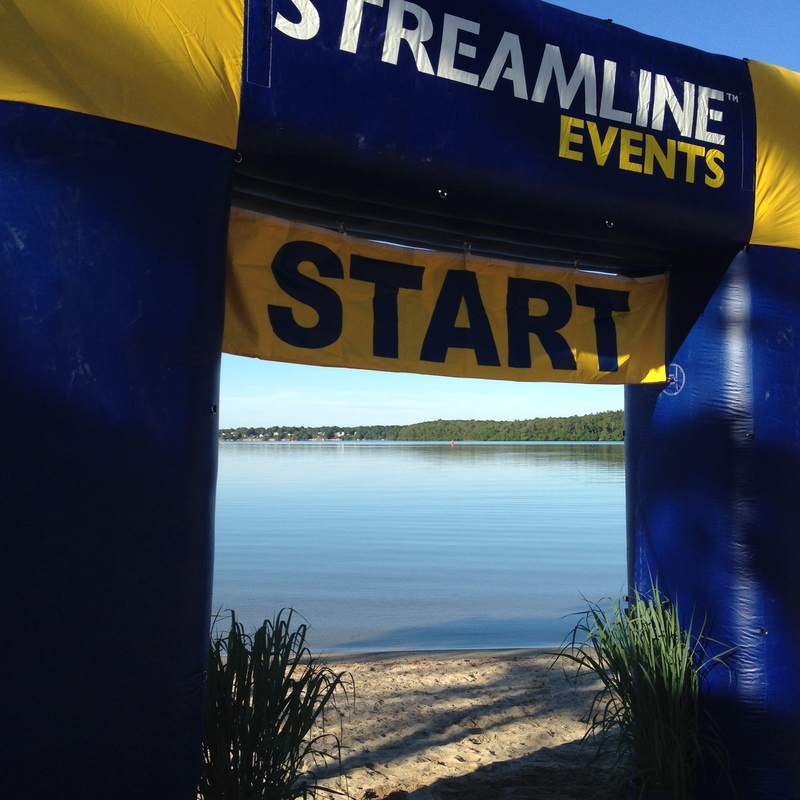 This entry was posted on June 23, 2014, in Open Water, Swimcrest Moments, Swimcrest Swimmers and tagged Mashpee Superswim 2014. Bookmark the permalink. 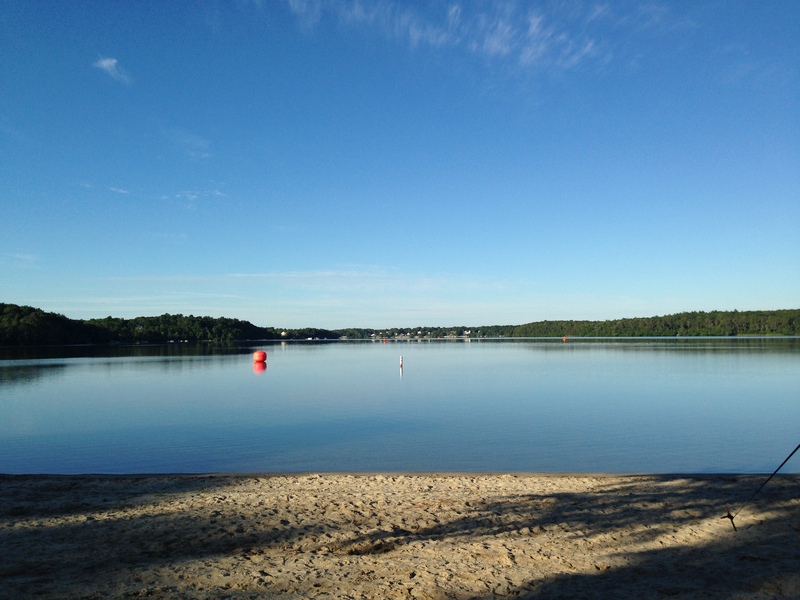 I’ve already given you some reporting on this year’s Mashpee Superswim but it’s clear a more detailed race report is necessary. 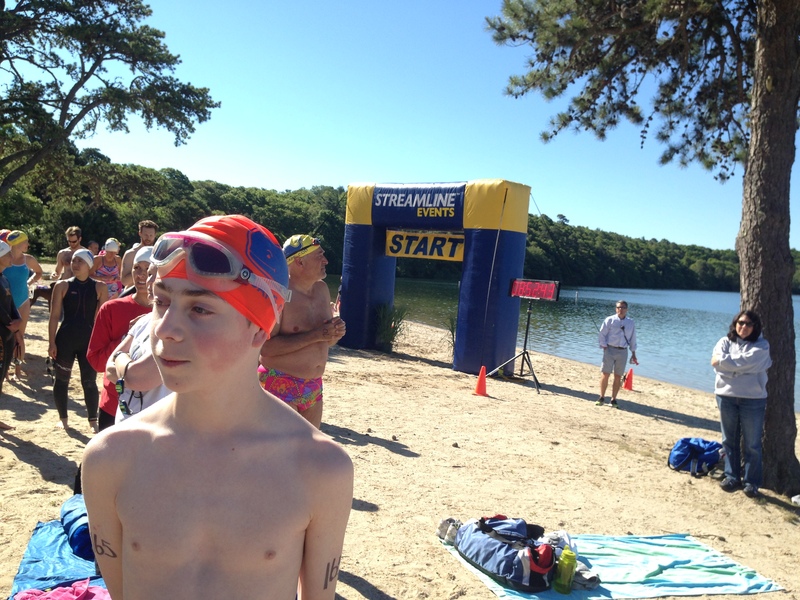 For my family, the Mashpee Superswim has always been a bit of a gamble, and questions arise each and every year. What will the weather hold? Would the swim be postponed, or cancelled? Would we find a place to stay that didn’t require 2 nights or wasn’t disgusting? 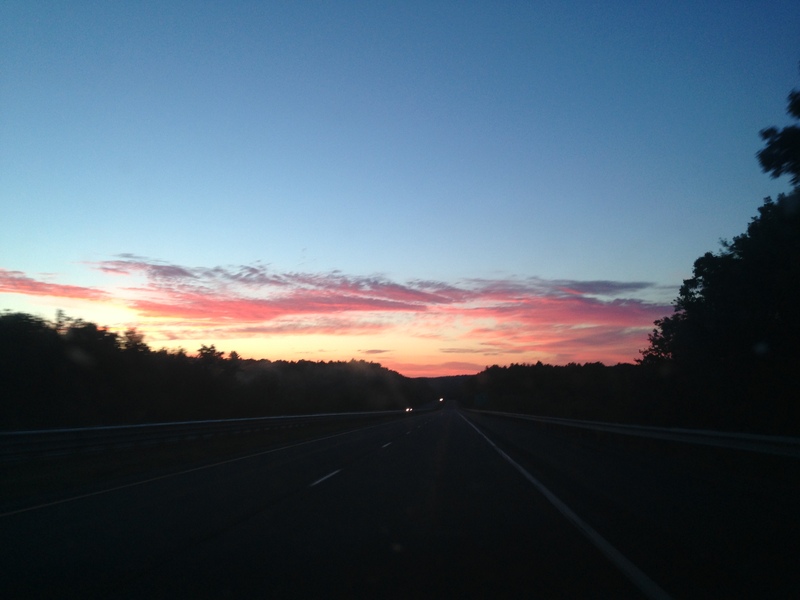 Should I just drive down on my own that morning, a nearly 3-hour trip? This year, that decision process was complicated by my son being sick for nearly a week. Despite that, the family and I decided it was worth doing, although this time by myself. 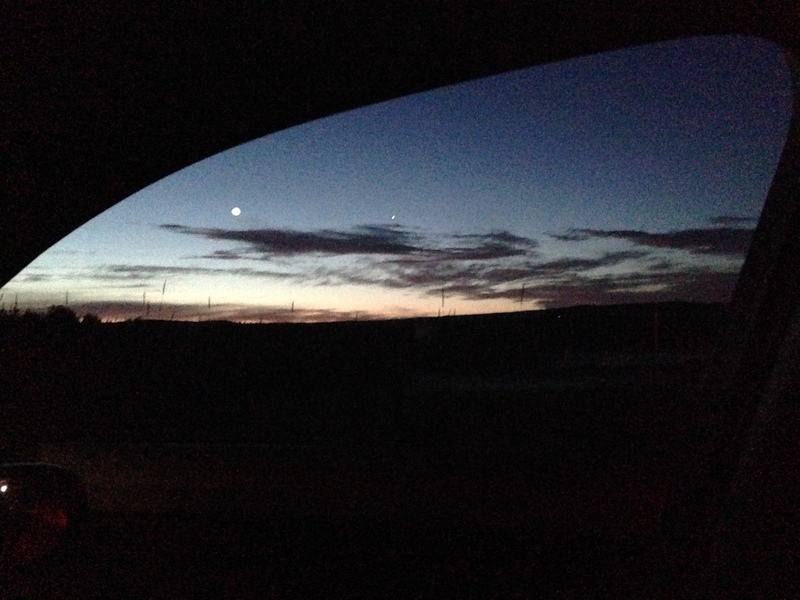 Despite the fact that I am IN NO WAY WHATSOEVER a morning person, this beautiful morning seemed like a good sign. And there was a pretty important reason for me to drag myself down there. 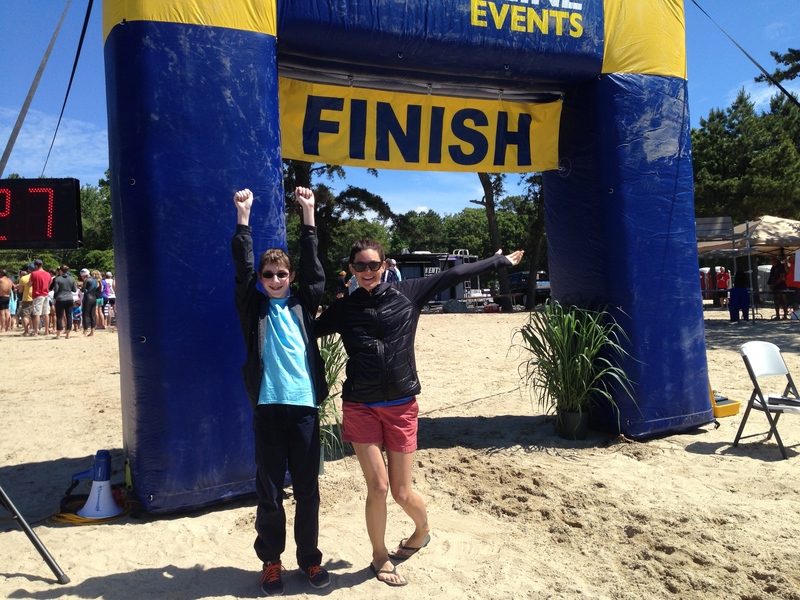 This year, a student, Kyle Mayer, age 13, was going to be competing in his first open water swim. In fact, it was his first swim competition of any kind. And there was no way I could miss that. Each year, however, I have other misgivings about the event. 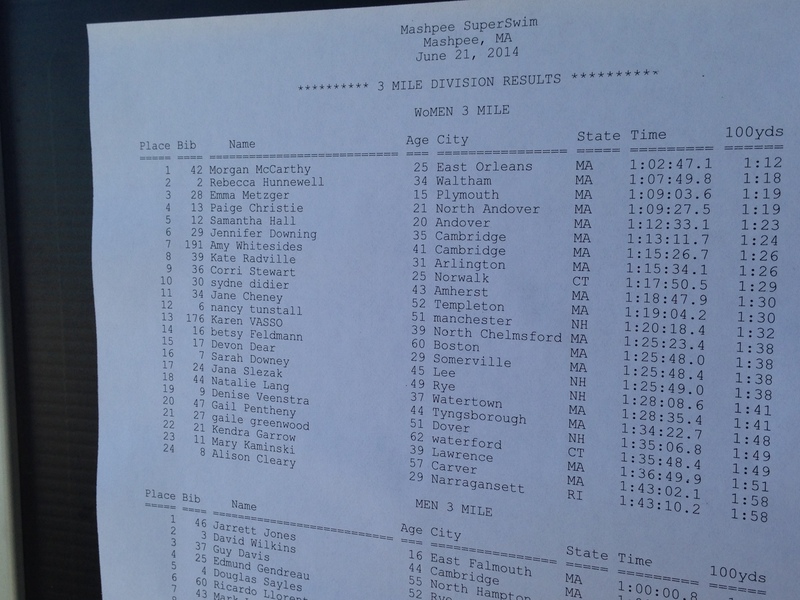 As a distance swimmer, 3-miles is a pretty short swim, and the loop course is never appealing to me. I’d rather swim out and back, or along a body of water, or circumnavigate an island. I like the mental and physical challenge of longer distances and the feeling of camaraderie and solidarity that comes with the inclusion in the relatively tiny group of athletes who choose to take on longer distances. 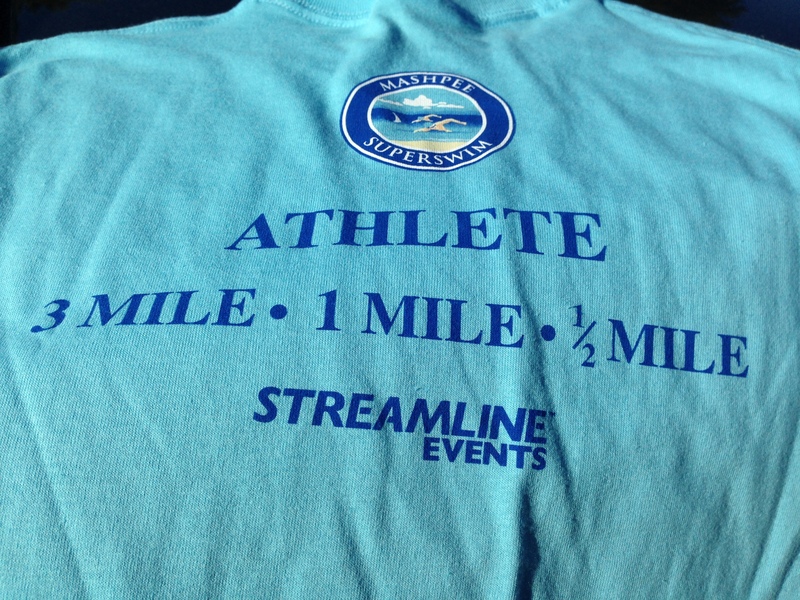 A 3-mile is do-able by many, and that’s great. But it means the energy is different, the feeling of competitiveness intensified, and the number of racers more than I would like. 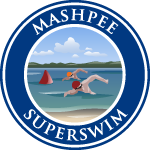 This year, the Mashpee Superswim was under new directorship, having been taken over by Streamline Events. And from the beginning, the changes were clear. The water was the same, and the conditions were perfect when I arrived at 6:45 in the morning on race day. Flat calm, no wind, and warm air. Ahhh–lovely. One totally welcome change was the fact that the loop was now a 1-mile course rather than a 1/2 mile. This meant that my 3-mile swim would only require 3 loops and not the dreaded 6 of previous years. But the energy was different. Immediately. When I introduced myself that morning, since I was one of the first people there, the new race directors asked me how many people I was used to seeing there, and then noted, proudly, that they were now up to almost 200, completely unaware that those kind of numbers are a total disincentive to me. Other changes were less important to me. I’m not fancy, and I don’t need a fancy start or finish. But okay, that’s cool. It’s fun to enter a start chute and end with a big Finish sign, right? One of the things I’ve always liked about the Mashpee swim is that it felt really local, like a community effort of folks pulling together to make this happen for and in their town. 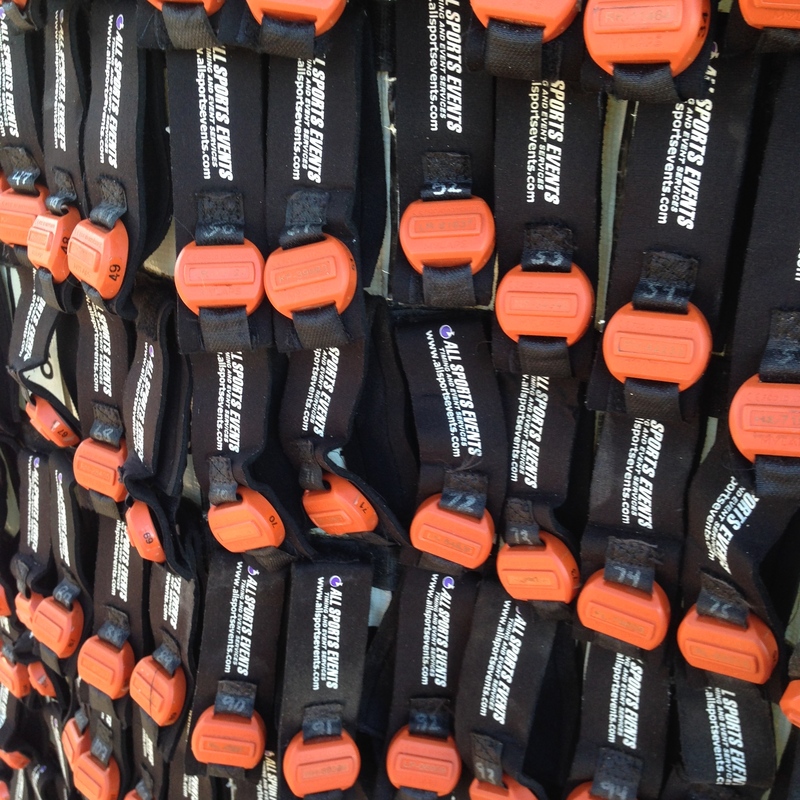 This year, it was “professionalized” and that meant things like timing chips. It meant full body marking, which my client Kyle embraced with grace. The professional changes meant better sound quality in the microphones used for the pre-race meeting, a welcome addition after years of spottiness before where it was almost unintelligible. But it also meant amplified music from the spiffy event trailer. Some folks will differ from me on this one but I don’t generally train with music, either swimming or running, and I appreciate the quiet and serenity of the environment before I swim. My way of getting “pumped up” is to chat with fellow racers, to just enjoy being there and looking at the water. I don’t mind the music but it’s not really my thing. This year, my focus was getting Kyle ready and making sure he felt prepared. He’s worked long and hard for this and I wanted him to feel accomplished when he came out of the water. We talked, I tried to make him laugh, and I did whatever I could to distract him from the nerves I imagined were present. We hunkered down with Kyle’s family, stayed warm in the slightly chilly morning air, and waited for the race start. My swim started 20 minutes before Kyle’s and from the first moments, I knew it was going to be a good one. Despite being home with my sick kid all week, feeling like I had barely been in the water, and being exhausted, I felt great as soon as I hit the water. I felt smooth and knew I was sighting accurately. And apparently, it was good enough that a fellow racer followed me the entire time, congratulating me after the swim and thanking me for getting her through in a reasonably straight line. The highpoint of my swim came on the 2nd loop where I was lucky enough to see Kyle passing his second turn buoy. I treaded for a minute as I hooted and hollered encouragement, then realized that I was actually tearing up and starting to cry, then had another realization of the need to continue swimming. 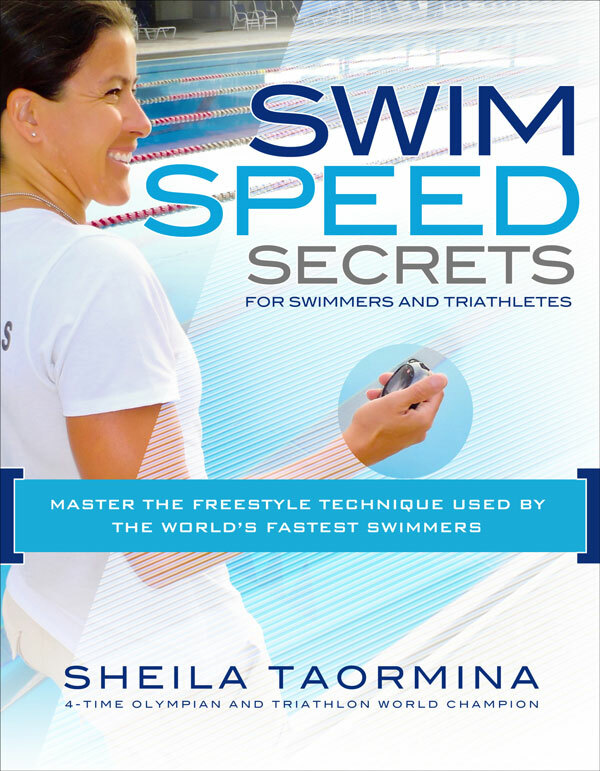 It was all I needed to get myself swimming faster so I could see his triumphant smile sooner. One issue during the race was that there was no additional in-water support even with the longer course. That meant that those who are not as experienced at navigation were swimming off-course, and a few times, heading into on-coming swimmers in a way that almost caused collision. With more support, kayakers and lifeguards on SUPs could have better ensured the safety of all racers and made sure that people did not cross over the center line. 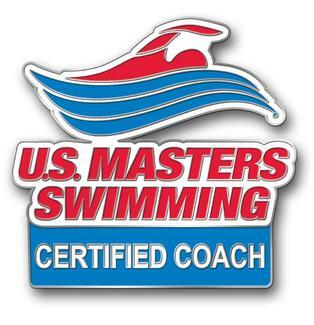 Despite that, I came out of the water feeling good, and knowing I’d turned in a better performance than previous years and when I found my results, it was confirmed. Alas, another new change was a scrolling computer screen with digital results that went by too quickly and were hard to read. Thankfully, after a time, these were printed and it was easier to see your results. Most important, Kyle had ROCKED his swim. And remember—first competition of ANY KIND! He did his 1/2 mile, without a wetsuit, in 32:12. We haven’t spoken about it yet, I think he’d be game for another race sometime soon. Right, Kyle? After the race, there was the typical picnic and then it was time for awards. I don’t like it when awards start before the last swimmer is finished, especially for a swim of these distances. It just doesn’t feel right when someone is still out there, still working hard. Every swimmer still deserves to be applauded when they reach the beach after what has been a hell of a lot of hard work for them. And when awards begin before that swimmer is finished, it means that the attention is refocused and that often, there is no one there to greet the finisher. In this new race incarnation, awards were also an issue more generally. And I was clearly not the only one upset about this. Everyone I spoke with felt that this was a change for the negative, especially given that the race price had gone up by $15 since last year. It sounds funny to say this because at longer distance swims, this is a non-issues, not something I think about at all, and it’s never a part of the equation. But for this style and distance of race, it is, and it should be. Don’t get me wrong. The race organizers were nice, perfectly polite, and they listened to my feedback. But I don’t think they were swimmers—at least, that is not their primary interest. And that matters. According to their website, they don’t do any other open water events that are not a part of triathlon, and in my opinion, that makes a difference in their level of experience and their need to hear the feedback of folks who’ve been doing these swims for years and who are practiced in the art of open water racing. Really, this photo, which I am absolutely going to have printed out for myself and for Kyle, says it all. 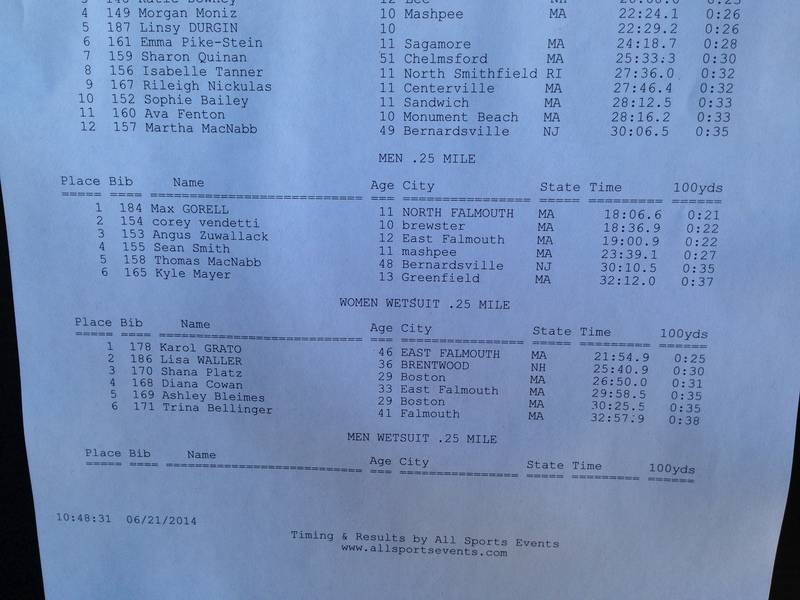 Thanks for a great swim Mashpee!